There are so many Moving Companies in Phoenix that it staggers the mind. There are only a few times in life that are as challenging as moving your household. It is a complicated task. 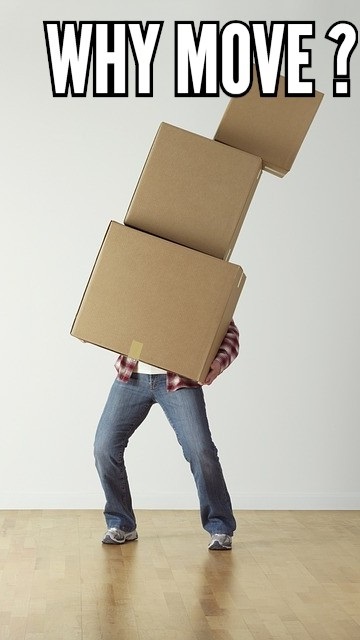 Luckily, I am here to assist you by supplying free qualified assistance via our experienced Concierge Move Specialists. They will work with you on the process from start to finish. They will do an analysis of your needs so that we can help you choose the best moving company. Our customers obtain the highest quantity of service due to the high volume of referrals we send them. Each day, thousands of people move to a new home all over the country. There are many reasons why people move. Why are so many people moving each day? Many moves are the result of changes to one’s relationship status, like getting married or divorced, moving in with the better half other or separation. It’s pretty common to relocate for a new job in another city or state. More recently, long commutes have people looking to move closer to their place of work. Often people downsize their home because they realize they don’t need the extra space they once did. Some desire to be closer to family, like elderly parents, growing grandchildren or better weather is also some of the reasons why people might consider a change of location. When children come along, they need a room of their own so many families move into bigger homes that will fit them better. Not only size of home, but school districts is one of every family’s main considerations when choosing where to live. Looking for Moving Companies in Phoenix – what’s your reason? Contact me to discuss how I can help you sell your current home or buy your next one.